MVP or Minimum viable product as a concept was introduced in the year 2001 by Frank Robinson. Although, functionality rich and impactful in nature, MVP as a term and concept has still got a long way to go. However, since you searched for what an MVP is, it shows you have much to gain from the knowledge of how this concept can benefit you. How can a Minimum Viable Product help me? 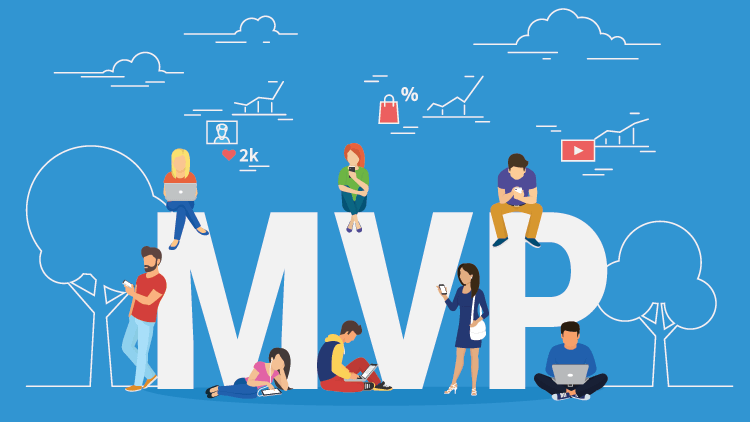 As the name suggests, an MVP is the skeleton structure of a product which packs in just enough features and functionalities in it, to float the idea in the market. Since an MVP is not the actual product but only a feature-packed basic structure, it is extended to a user base of early adopters who can dabble in the product and come back with feedback and notes on areas of improvements. A Minimum Viable Product thus gives your idea the basic framework it needs to build upon further. Having an MVP in hand makes it easier for you to test the product rather than making random assumptions. Testing a product on assumptions during the process of product development can be both time-consuming and an expensive affair. What does Minimum refer to in Minimum viable product? When we talk about the ‘minimum’ aspect in an MVP, it totally depends on the developer’s judgement of what minimum is. The term minimum in this case generally covers all the basic features that product aims to provide to customers. It also generally includes the features that can be built upon at later stages of development. A Minimum Viable Product is often referred to as a base product or core artifact that assists in the process of idea generation and product development. A base product is one which helps in data collection, prototyping, analysis, presentation, and learning. Minimum Viable Products open the gateway to build upon it till the product reaches its mature stage where it is ready for the market. An idea cannot be tested by bouncing it off people. It is only when your product idea has a definite presence, however small, can you offer it to some possible customers and gather knowledge from their feedback. An MVP helps you do just that. By building a base product and releasing it to a limited subject of potential customers, you are creating an environment for beta testing your product. This process reduces the total time spent on iteration and also gives you a clear idea of who your target audience should be and what exactly are they looking for, in your product. There are many benefits of a Minimum Viable Product. If you are looking to build one for your product idea, we would be happy to help you with it. Through Produit™, our MVP offering, we provide you with a product scope in just 2 business days and an MVP in just 30 days. Contact us now to get started on your MVP.